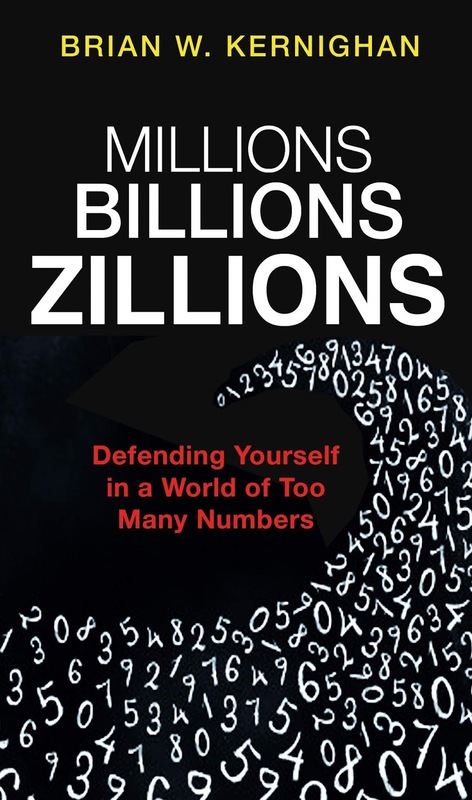 This isn't the first book to take on misleading numbers - as well as the classic How to Lie with Statistics, there was the excellent The Tiger that Isn't. Although Kernighan covers many of the common errors in this slim volume, I didn't get the same sense of fascination here as I did with those earlier titles (particular The Tiger). 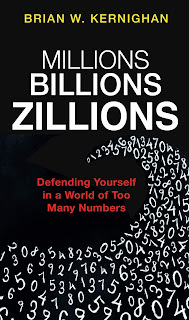 Kernighan gives us useful tips on checking numbers, but often the examples felt like hard work for numbers it's hard to care too much about (the US's 60 billion barrel oil reserve, for example (actually 60 million)) - carefully choosing your examples in a book like this is really important. The techniques Kernighan gives, such as scaling numbers to individuals rather than the population as a whole, knowing some basic values and constants, Little's Law, the rule of 72 and approximations of powers of 2 are all great - though I confess I've already forgotten what Little's Law and the rule of 72 are and will have to go back and check. But the book didn't engage me the way that The Tiger that Isn't did (it could be partly that the The Tiger uses more British examples, but it also has a more approachable writing style). However, books like this are essential in a world where numbers are increasingly used to bamboozle us. This is a very welcome addition to what I hope will be a growing genre.